My Members Equity bank (ME Bank) “Interest Me” transaction account includes 15 free EFTPOS transactions each month and also has no monthly account keeping fee. 1. One or twice a week when I’m walking past a Woolworths, Coles, IGA or other big supermarket I walk in, go straight to the checkout and ask for “cash out no purchase” and tell them how much cash I want eg: $100. Swipe my Members Equity bank EFTPOS card, get given the money by the checkout person and walk out the door. RESULT = FREE EFTPOS transaction – $0 bank fee. 2. Or withdraw cash using EFTPOS when I’m already at a Woolworths, Coles, IGA etc making a regular weekly purchase like milk, butter, bread, cereal etc. RESULT = FREE EFTPOS transaction – $0 bank fee. There are several options as well. 1. Get Orange Everyday account($0 Monthly fee+visa debit card) from ING Direct. 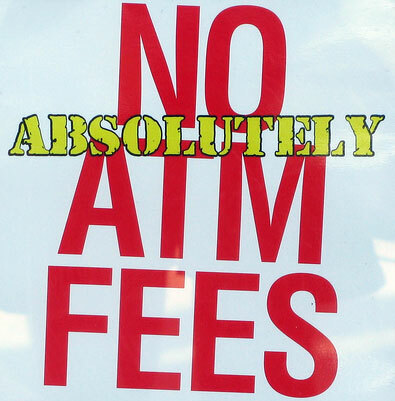 Bank covers the ATM fee as long as you withdraw $200 or more at a single transaction. They even provide bonus($0.50) when you cash out $200 using EFTPOS. 2. Get HSBC Online savings account ($0 monthly fee+visa debit card) from HSBC. Unlimited ATM at 2,700 HSBC or Westpac, St.George* and BankSA branded ATMs nationally. * This does not include St.George and BankSA ATMs located at BP service stations. Is that ING Direct an online bank, if so, are they safe?